Get social, get a closer community. has to offer and spread your message far and wide. Your message can travel well past the inbox. 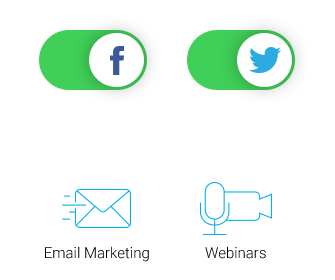 Add share buttons to your emails in seconds. Encourage sharing and increase engagement. Multiply the reach of your emails. You can track everything with Social Share Analytics. Track reactions to your emails. Measure likes, (re)tweets, and comments. Compare results across different channels. to your Facebook page to create new subscription opportunities and capture more prospects than ever before - for free and with only a few extra clicks. Acquire new leads from your blog. Quickly convert your readers and visitors into new, fully qualified prospects by offering for them to hear more from you via email. 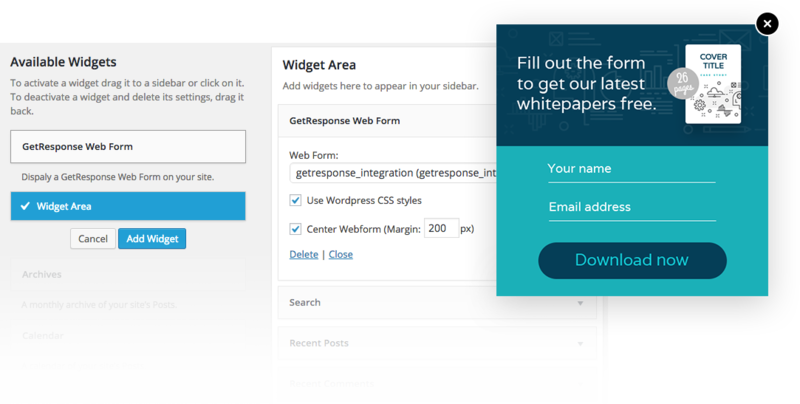 Simply include a fully customisable web form on your blog and watch your lists grow with an interested, targeted audience. Enable instant tweets and Facebook updates about your newly published newsletters. Make them present online and available for anyone interested, even if they're not in your contacts database yet. Facebook and Twitter updates are goldmines for webinar registrations! Enable automatic updates to your Facebook and Twitter accounts to help spread the word about your webinars. Reach your blog's audience and announce your articles via email and social media, entirely the way you want it. 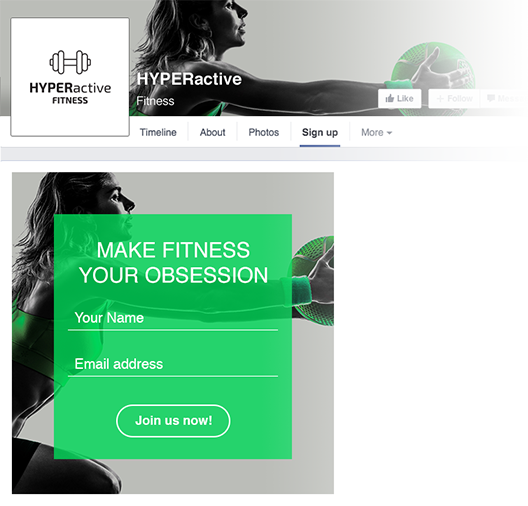 Link your campaigns, customise the design, and choose when you want your audience to receive the updates. Use videos to encourage subscriptions. Have tons of video content on YouTube, Vimeo, Wistia, or VidYard that you want to use in your marketing materials? 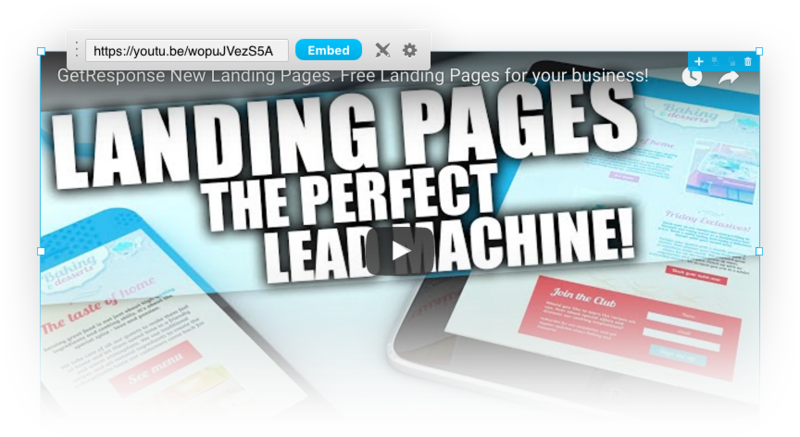 Use any of those integrations to embed irresistible video content straight onto your landing page.